Dr. Lilli Vincenz arrived in Washington, DC in 1963. ”I think we're really in the vanguard of human progress. I've always felt that gay people potentially can be that because we have to be creative. We have to design our own lives ... It has to do with the right to be one's self. To define one's self, to love whom one wants to love ... “. Lilli Vincenz' work for gay civil rights, for creating safe social spaces for lesbians, and for creating a Community for Creative Self-Development opened new horizons for Washington's gay community. Her films of gay civil rights events have given the local and national gay community an invaluable visual archive of its early years. Vincenz came to Washington, DC as a WAC psychiatric technician in training at Walter Reed in 1963. Outed by her roommate, Vincenz was given a general discharge, under honorable conditions,from the Army. Referred by New York Mattachine to Washington's Mattachine Society (MSW), she joined in the fall of 1963. In the Mattachine Society of Washington (MSW), Vincenz soon became an officer of the organization. She participated in MSW's innovative picketing events here and in Philadelphia. A gifted writer, she wrote for MSW's publications, editing its quarterly Homosexual Citizen and later writinga column for New York's Gay. In the late 60s she became a filmmaker, filming the 1968 Third Reminder picket in Philadelphia for her first film Second Largest Minority. Two years later she filmed the first Christopher Street Liberation Day parade, celebrating the first anniversary of the Stonewall riots in New York City. Gay and Proud documents this event, which was the precursor to Gay Pride. In 1971, Vincenz helped spearhead and promote the Kameny for Congress campaign for Washington's first non-voting delegate for Congress. Vincenz and her then partner were deluged with calls from women eager to meet other gay women. In response to obvious need, Vincenz opened her home weekly for a Wednesday evening Gay Women's Open House. These safe social gatherings lasted through 1979, providing a unique gathering place for area lesbians. A psychotherapist since 1975, she returned to her studies in 1982 and received her PhD in 1990. Two years later, Vincenz and her life partner, Nancy Ruth Davis, founded the Community for Creative Self-Development (CCSD) as a holistic learning community for empowering gay women and men, and all gay-friendly people, creatively, spiritually, and psychologically. After twelve years of workshops, classes, conferences, and quality newsletters, CCSD became dormant in 2004. 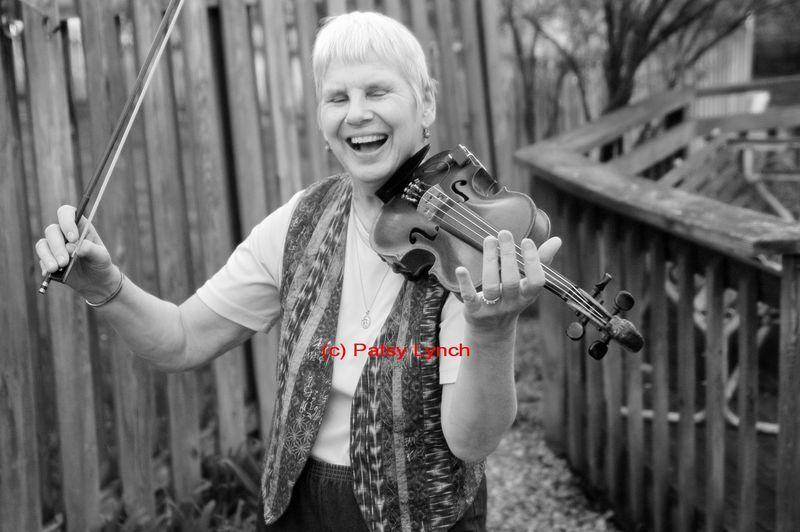 The spirit of CCSD remains alive in the yearly reunion of former members and interested friends, where Lilli and Nancy offer a program of Tales and Times, writer Nancy reads her stories and fiddler Lilli joyfully plays her beloved violin..